Goliath, a global leader in the toy and game industry, announced today that it has acquired Tucker, one of the world’s top designers and marketers of innovative outdoor toys. Tucker, based in Hamilton, NJ, brings to market a line of toys spanning all ages. Every toy created by Tucker has received awards from various prestigious organizations including Mom's Choice, Parents' Choice, The National Parenting Center, The Toy Insider and veteran toy marketer Einstein, da Vinci and Goldberg. Most recently, two of Tucker's toys received special needs approval by AblePlay, a division of Lekotek, proving the versatility of Tucker's toy innovation that brings value to parents and benefits to children across the spectrum. 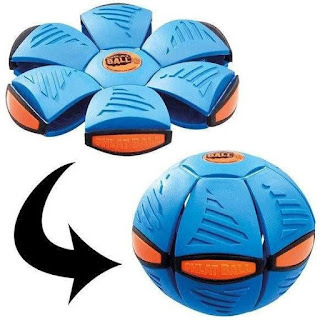 Products from Tucker Toys include the internationally award-winning Phlat Ball®, E-Z Grip®, Crush-It!® Bat, Trick Shot Sports®, Zoingo Boingo® Pogo, and the ZB Freestyle® Board, a high-bouncing action sports toy ideal for enthusiasts. For more information, please visit www.tuckertoys.com.